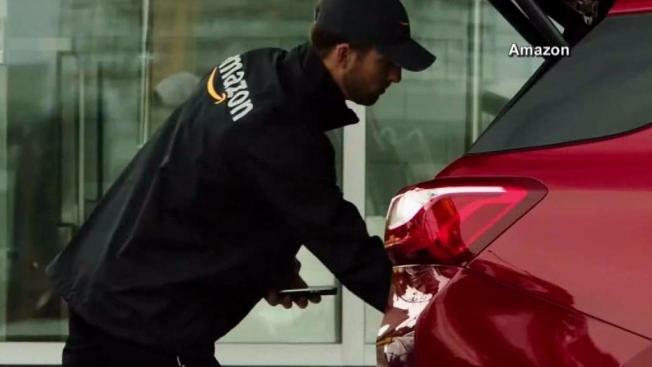 Amazon's latest perk is free delivery to your car. The Seattle company said Tuesday that it has begun delivering packages in 37 cities to Prime members who own newer General Motors or Volvo vehicles. Deliveries are available to members with 2015 year or newer Chevrolet, Buick, GMC or Cadillac vehicles with GM's OnStar connected-car service, and those with a 2015 or newer Volvo vehicle with an active Volvo On Call account. Packages will be placed in the trunks of cars parked in publicly accessible areas like a customer's home or workplace, and then secured. Amazon Prime customers need to download the Amazon Key app. From there, they can link their connected car and start their Amazon orders. No additional hardware or devices are needed.